The Bono Manso region of central Ghana was occupied from the late 12th to mid-18th centuries CE, spanning much of the zenith of the sub-Saharan and Atlantic Trade eras. Bono Manso was a nascent urban centre near a primary trade route that linked the Malian city of Jenne with the Akan goldfields. 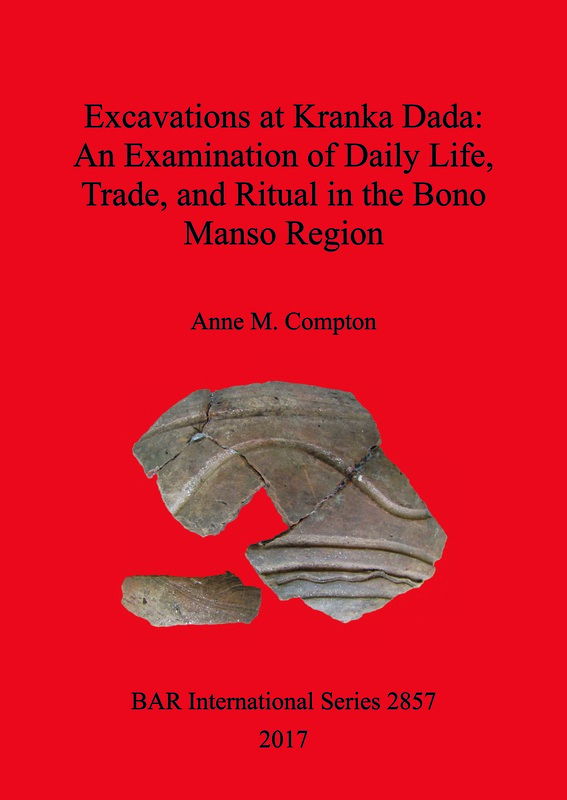 By integrating new archaeological data with oral, historical and archival data, the author discusses how the satellite village of Kranka Dada and its domestic economies were shaped by regional, continental and global trade and interaction. A household-oriented focus allows for discussion of how daily life at Kranka Dada, the economic, political and religious organization, were shaped by interaction with Bono Manso. Anne M. Compton is an adjunct professor of anthropological archaeology at the University of New Mexico. She completed her PhD in 2014 at the University of Michigan.